In 2017 The Mill Adelaide welcomes Canadian choreographer Ame Henderson to be the Choreographic Futures Mentor. 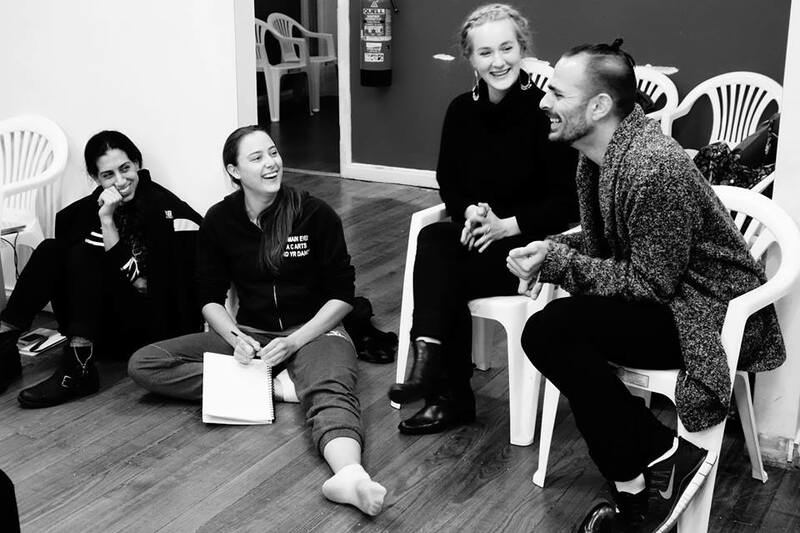 The Choreographic Futures program is an intensive workshop format, inviting national or internationally acclaimed dance artists to participate in a mentorship/workshop program focused on connecting South Australian artists with aesthetics and activity happening in artistic fields outside the state and around the world. Previous mentors have been Israel Aloni and Lee Brummer from ilDance (Sweden) and Kate Champion from Force Majeure (SYD). In the first of a two year partnership, The Mill is pleased to welcome Ame Henderson to lead the 2017 installment of Choreographic Futures with a choreographic laboratory open to artists from different disciplines. Henderson is an independent artist, facilitator and mentor based in Toronto. She is an associate artist with the innovative collaborative company Public Recordings and has a longstanding relationship with Toronto Dance Theatre. Her internationally acclaimed work, taking shape as performance, publication and exhibition, has been developed and presented at home and abroad in a range of contexts. In July 2017, Ame Henderson will conduct a ten day workshop Choreographic Laboratory for multidisciplinary artists .The format of the workshop gives participants the opportunity to develop and challenge their own making processes and current research in collaboration with other participants, facilitated by an internationally recognised maker. The workshop, developed in collaboration with Christopher House, has previously been offered at Banff Centre and in Toronto, was created in response to a growing cross-disciplinary interest in choreography. The lab will bring together 12 artists to engage with methods and ideas distilled from contemporary choreographic practice. The program is for professional artists working in disciplines other than dance who are leaning towards choreographic ideas, and for dance practitioners investigating choreography in dialogue with other art forms. The goal of the residency is to explore how choreographic thinking - spatial, temporal and sensory - can enhance a diverse range of artistic practices. Critical Path is partnering The Mill to offer two bursaries for artists from outside of SA to attend their Choreographic Futures program with Ame Henderson this July. This is a 10-day workshop and full attendance is expected where reasonable. See current Program for more informaton about the next opportunities. With the generous support of the Helpmann Academy and Klein Family Foundation, The Mill is expanding the size and reach of the 2015 Dance Residency Program to offer the national dance community an oppourtunity to make lasting connections within SA, and globally, through the international presence and networks of the residency. Based in Gothenburg, Sweden, ilDance is an independent and international contemporary dance company and production coordinating collective. ilDance’s artistic directors, Israel Aloni and Lee Brummer bring an exciting international presence to Adelaide having performed with and choreographed for some of the world’s top dance companies including Sasha Waltz & Guests (Berlin), Emanuel Gat (Israel), and the Gothenburg Opera (Sweden) as well as teaching for international companies including DV8 (UK), the Royal Swedish Ballet School, Sydney Dance Company and Australian Dance Theatre. Having visited The Mill in late 2013, Lee and Israel bring remarkable mentoring expertise and refreshing, nurturing artistic inspiration to Adelaide’s dance community. The second offering of The Mill’s Choreographic Residency program was highly successful. It offered 7 South Australian dance artists opportunity for development, artistic exchange, mentorship and presentation. The program also attracted parts of the South Australian dance community including secondment students from AC Arts, local independent artists, and Australian Dance Theatre dancers and staff. The Mill's unique model offers a residency with multiple choreographers and mentors working alongside each other, and are hopeful to continue building and offering this program with new internationals into the future. The final showing was performed in partnership with Australian Dance Theatre, as a co-presentation of ADT’s Rough Draft program. 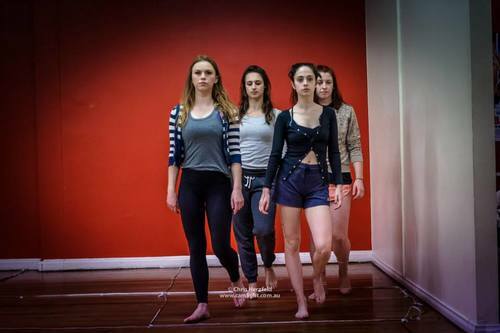 Residents were awarded 4 weeks of studio time in which to develop a new or existing choreographic project. During this time residents were able to explore their choreographic practice under the expert mentorship of Lee and Israel, as well as engage in workshops, professional development sessions, and forums. The residency ended in a public showing of the works created open to the program’s supporters, industry guests, the artist’s peers and the general public. – Daily class for the dancers and choreographers – led by Lee and Israel as well as local SA established dance artists. – Professional Development sessions for the residents in the areas of Marketing, Project management, documentation and technical production with selected industry professionals. The Mill Adelaide, in association with the Klein Family Foundation, Force Majeure and the Helpmann Academy, presented the 2014 Choreographic Futures Dance Residency.